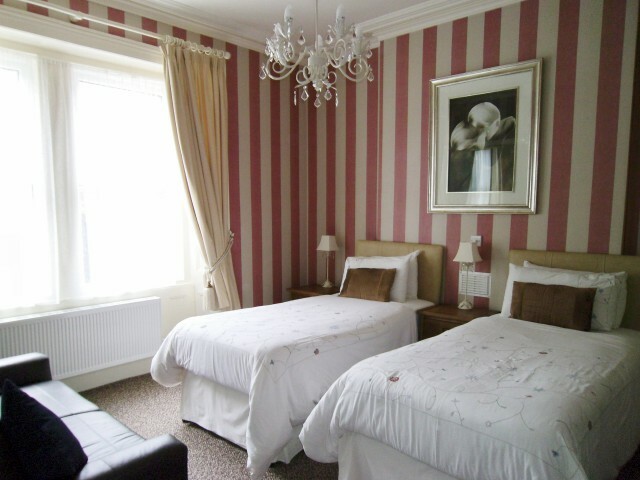 Room 1 at Oakoveris a very spacious, twin bedded, ground floor, luxury bedroom, with a en suite shower. Refurbished and decorated to ensure maximum comfort, with a comprehensive range of \'Home from Home\' extras. Please note that all rooms are non smoking. 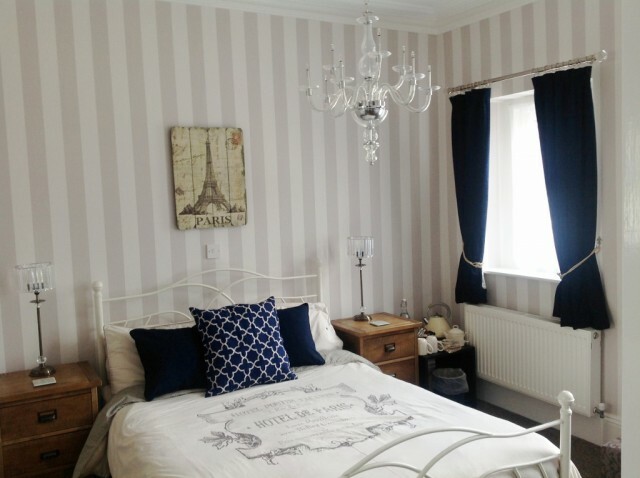 Room Size 194 sq ft.
Room 1 at Oakover Bed and Breakfast Guest House Weston-super-Mare is a very spacious, luxurious, ground floor bedroom with a king-size bed (or twin beds) and en-suite shower. Refurbished and decorated to ensure maximum comfort, with a comprehensive range of \'Home from Home\' extras. Please note that all rooms are non smoking. 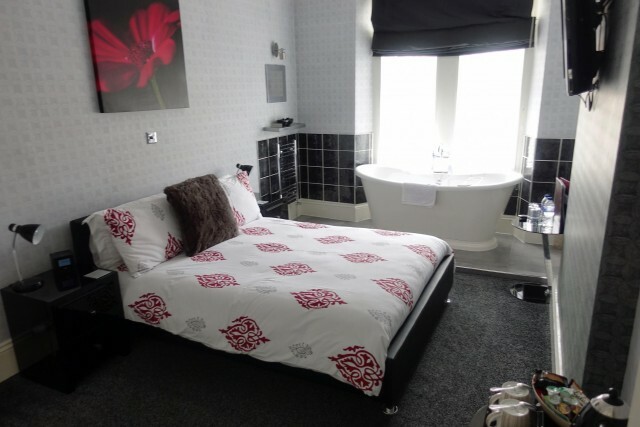 Room Size 194 sq ft.
Room 2 at Oakover Bed and Breakfast Guest House Weston-super-Mare is a large luxury double bedroom with En suite Jacuzzi® bath and shower. Ultimate \'Rest and Relaxation. Please note that all rooms are non smoking.Room Size 215 sq ft.
Room 3 at Oakover Bed and Breakfast Guest House Weston-super-Mare is a recently refurbished, ensuite double, with a large \'in bedroom\' \'Feature bath\'. 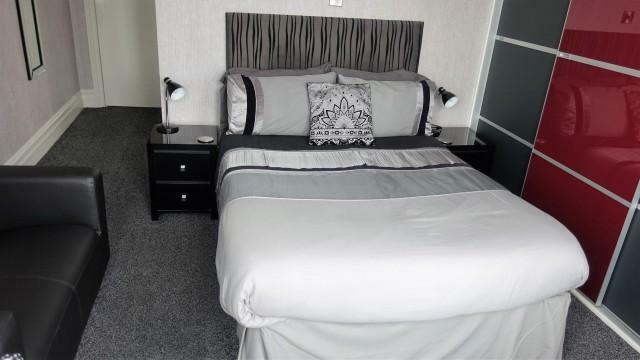 Perfectly combines traditional and contemporary features, for a relaxing and romantic stay.Room Size 161 sq ft.
Room 4 at Oakover Bed and Breakfast Guest House Weston-super-Mare is a very comfortable, newly refurbished, first floor luxury double bedroom. En suite luxury corner bath and shower. A lovely, quiet \'airy\' room. 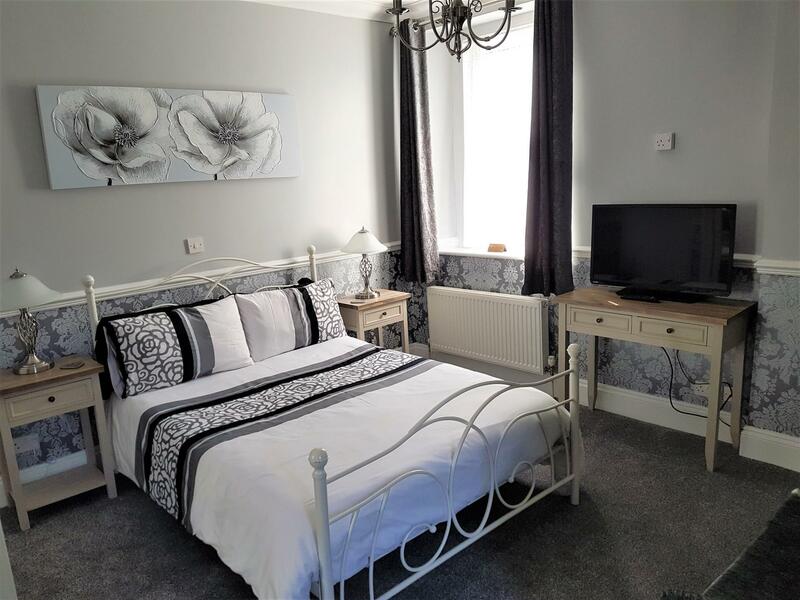 Please note that all rooms are non smoking.Room Size 205 sq ft.
Room 5 at Oakover Bed and Breakfast Guest House Weston-super-Mare is extremely inviting, totally refurbished, luxury first floor double bedroom. Luxury en suite with corner bath and shower. Absolute indulgence! 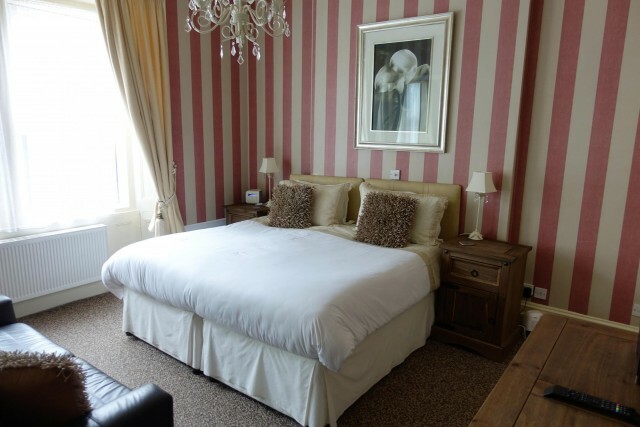 Please note that all rooms are non smoking.Room Size 205 sq ft.
Room 6 at Oakover Bed and Breakfast Guest House Weston-super-Mare is a ground floor, standard double bedroom with a small en suite shower. Smaller than our superior rooms, but still very pleasant and comfortable. 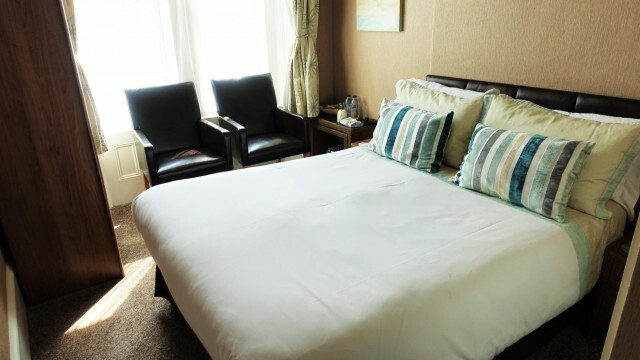 Please note that all rooms are non smoking.Room Size 129 sq ft.
Room 6 at Oakover Bed and Breakfast Guest House Weston-super-Mare is a ground floor, standard double bedroom with en suite shower. Smaller than our superior rooms, but still very pleasant and comfortable. Please note that all rooms are non smoking.Room Size 129 sq ft.